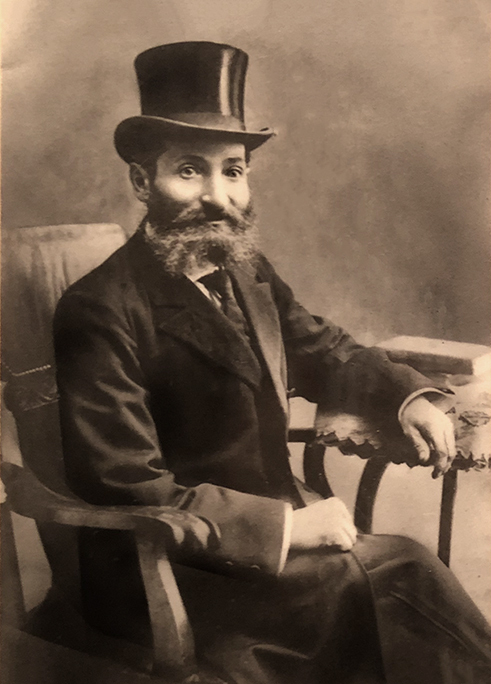 As the story goes, Abraham Israel Segal and his wife, Ester Hodel Ricken had a tavern in Russia (their ship manifest said they came from Ostroh which is now in Ukraine) and that Abraham was a maker of vishnick, a sweet wine made from the local cherries abundant in that part of the world. A local Cossack, who had a crush on their oldest daughter Bessie, told Abraham that there were rumors of pogroms coming soon and that if Abraham left him the tavern, he would warn him prior and allow him and his family to get out of town. Here’s what I do know. 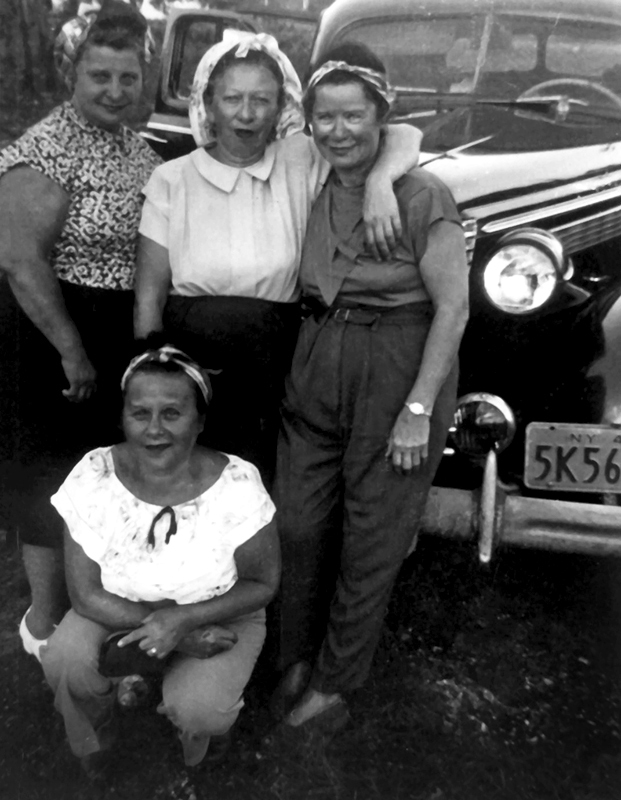 Ester had a sister Basse (known as Bessie in the United States) who was somewhere between 4-10 years younger than Ester (depending on what record you’re reading) and was married to Louis Berkowitz. Louis came to the United States somewhere around 1895-1896. Like many families, the man came first to scout out the area, find a job and a place to live. He ended up living on the Lower Easter Side of Manhattan and sent for his wife and five daughters who arrived in the fall of 1897. After life settled down, they sent word to Ester and her family that life was good and that the Siegels and their five children should join them. Abraham declared he had $600 with him on entering the United States. I would suspect he pretty much sold everything he had to bring that kind of money with him. When you look at the ship manifest he was on, a few had big money, but most had anywhere from 0 to $25 with them. 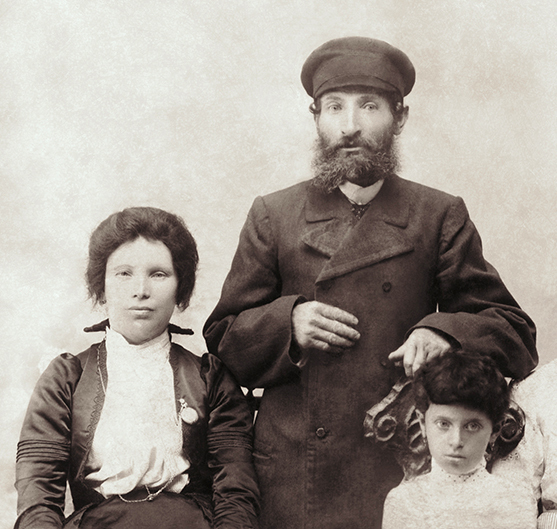 Ester and Abraham Siegel with their oldest daughter Bessie. Lily, Bessie, Ella and my grandma Minnie in front. 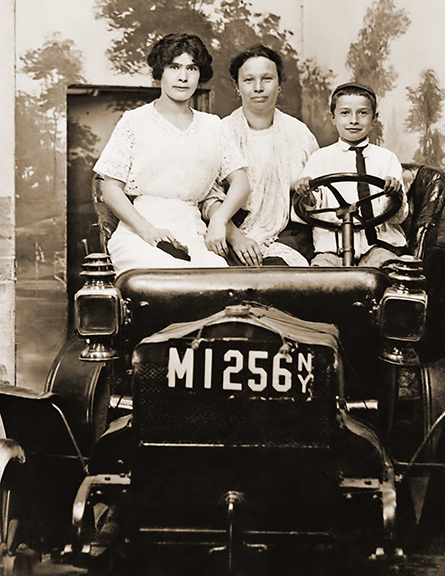 Bessie and Louis Berkowitz had five daughters so there is no surviving Berkowitz name to trace. All came over with Russian names that were quickly changed to more anglicized versions. Malke became Mollie, Leke became Lenah, Sore became Sarah, Selde became Celia and Mischke became Minnie. Ella, Ester and the young Ralph in a photo studio shot in New York. 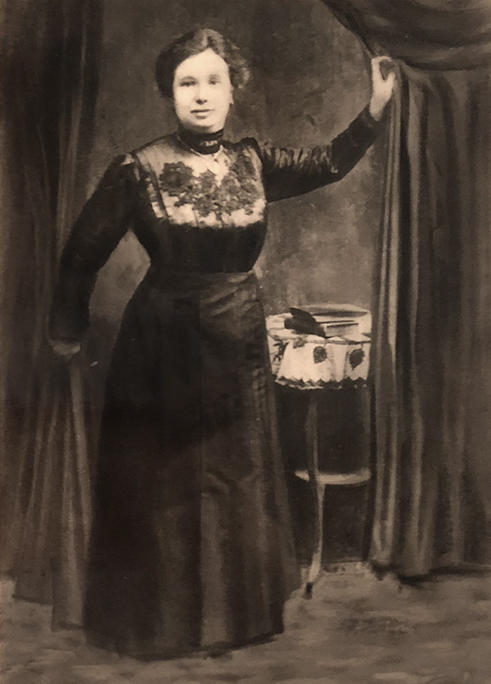 Abraham and Ester Siegel’s oldest daughter Bessie, who went by Pesse in Russia, married Sam Weinstock and had three daughters, Ruth, Lea and Edith. Their second daughter Ella (or Elke) married Harry Repensky and had one son, Albert. Their third daughter, my grandmother Minne (or Mischke as she was born) married Harry Spiel and had two children; my uncle Albert Spiel and my mother, Edythe Spiel Elkort. Their fourth daughter Lillian (or Sure – probably pronounced Sura) married Harry Brodman and had three children. Ruth Brodman who married Lester Farina and they had three children. Irving Brodman who was fondly referred to as Blackie, married Helen Geier and had three children. And Edith Brodman who married Patrick Fiore and they had one son, Steve Fiore. Sadly, due to tragic circumstances, both Blackie and Edith died in their late 30s within one year of each other. The family was devastated. Abraham and Ester’s last child was, fortunately for the Siegel name, a son named Ralph or Rachmiel. He married Rose Gong and together they had three sons. While the surname spelling was Segal on their transportation record and in the Ukraine census (see below), in the US they adopted the spelling Siegel and stuck with it. UPDATE: Recently I hired a researcher in Ukraine who found the Segals in the 1886 and then 1897 update of the Ostroh census. Both recordings were prior to the birth of Lillian and Ralph and there were two additional sisters listed; Sarah born 2 years after Ella and Zelda born a year later. Neither Sarah or Zelda came to the US with the Siegels in 1906 and at first I assumed they both had died before the family emigrated. But after some discussion with other researchers, these two daughters, though young, may have married and stayed behind. And perhaps one of them was the real object of the Cossack’s affection I mentioned earlier. I also questioned whether they would have let two younger daughters marry before the older daughters, but times were tough and they were not a wealthy family so convention may have been set aside in order to secure them a good future. And of course, this we may never know. The census did also note that the Segals came to Ostroh in 1886 and by 1887 left to move to Starokostantinov, another town about 2 hours north of Ostroh.